Tonight's concert is a whistlestop tour of music that has played an important part in Susan's career so far. From piano solos and duets through songs and her compositions, she will share music and anecdotes that have shaped her life in music to date. The evening promises to be a feast of musical delights! Since winning the National Mozart Singing Competition, Susan's flourishing career has taken her to major venues worldwide. Specialising in contemporary song, she has broadcast for BBC Radio 3 and Norwegian Radio. Legendary mezzo Christa Ludwig described Susan's lyric mezzo as a beautiful voice with a fine coloratura. 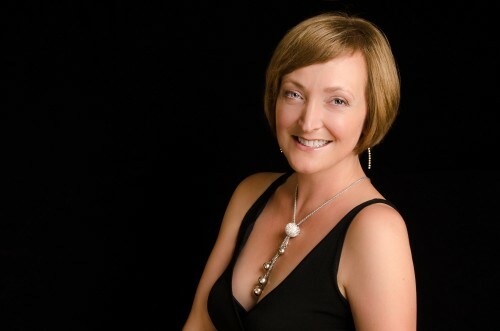 Susan has given vocal and piano recitals at the Wigmore Hall, Purcell Room and St. John, Smiths Square and performed at Glyndebourne, Bayreuth, Wexford and Aldeburgh Festivals and the Walton Trust, Ischia. She has sung all Elgar's choral works, Bach's Passions, the Verdi and Mozart Requiems and toured Handel's Messiah in Mexico. Susan has recorded soundtracks for Film, TV and video games. She co-wrote the music for the film "The Impressionists - And The Man Who Made Them" in 2015 and her voice features on Stephen Baysted's film score "Renoir: Revered and Reviled", which premiered in February 2016 and played in cinemas worldwide. She recorded all the piano tracks for the film "I, Claude Monet" (February 2017). Susan was mezzo soloist in Elgar's The Kingdom in Dorchester Abbey with Benson Choral Society in March 2018 and in Beethoven's Missa Solemnis in London's Queen Elizabeth Hall with Goldsmiths Choral Union in April. Susan studied singing with Margaret Kingsley at the Royal College of Music and National Opera Studio and piano with Clifford Benson and Phyllis Sellick, OBE. She is Head of Voice at Chichester University.